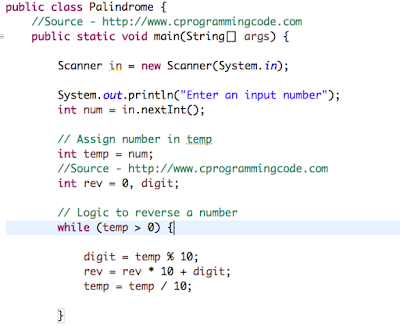 Write a java program to check whether a number is palindrome or not. 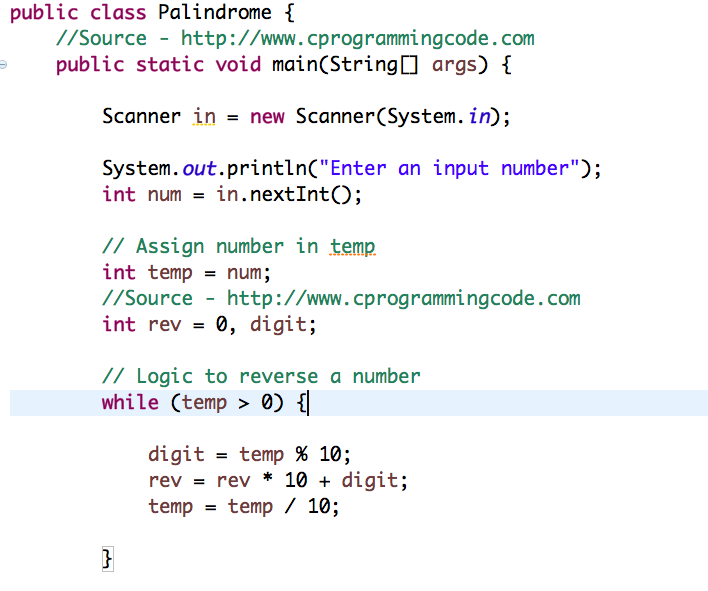 Given an input number, we have to write a code to check whether a number is palindrome or not. Before solving this problem, let's first understand what is palindrome number? A palindrome number is a number that remains the same when its digits are reversed. For example - 121, 454, 12521 etc. If we reverse 121, it remains 121 so it's a palindrome number. To check whether a number is palindrome or not, just reverse a number and compare with the input number. If it's equal then it's a palindrome number otherwise it's not. To check whether a number is palindrome or not, we have to reverse a number and compare it with the input number. If both the numbers are equal then it's a palindrome number. Let's implement them programmatically. * is equal then it's a palindrome number.